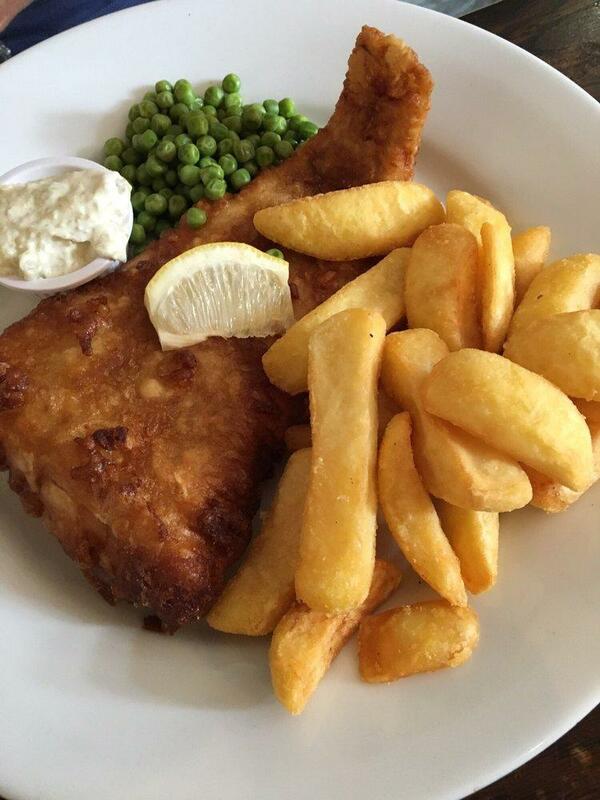 Right after visiting St Mary the Virgin Church, come for a meal. British and Vegetarian cuisines will be what you are offered to degust at this restaurant. Try good coleslaw, pies and burgers that are served at Bugle. Nothing can be better than ordering tasty yorkshire pudding and good crumble. It's a must while visiting this place to drink delicious ale, beer or wine. Based on the visitors' opinions, coffee is good. A number of guests consider the staff knowledgeable. This spot is notable for its enjoyable service. Here you will pay attractive prices. At this restaurant, people can enjoy the calm atmosphere and spectacular decor. 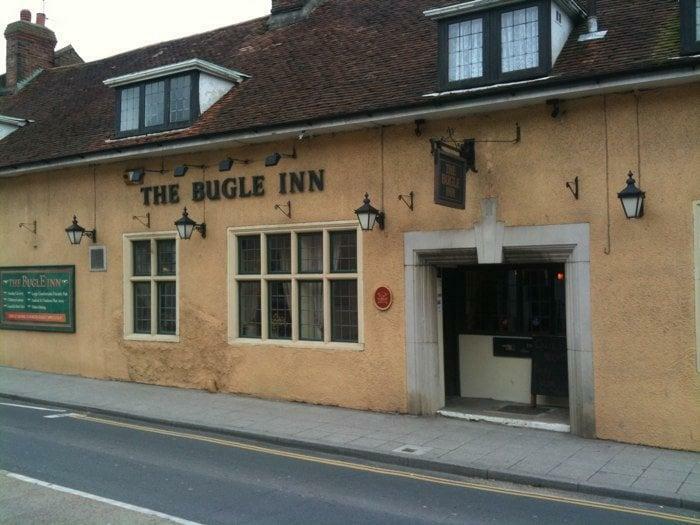 But Bugle hasn't received a high rating on the TripAdvisor site. Not good at all, had a sizzling steak and king prawn platter with sweet Potato fries, when it arrived it was not sizzling at all, the steak was over cooked and the king prawn skewers were in fat small prawns, the fries where hard in the middle and under cooked. And that was that, a few onions under the steak... but overall it was very poor indeed and not worth the money paid. Lovely service in a surprisingly spacious pub. I loved the little shop they have, featuring local jams, jellies, oils and vinegars - nice touch! Fantastic play area for the kiddies out in the garden. The food was really great. 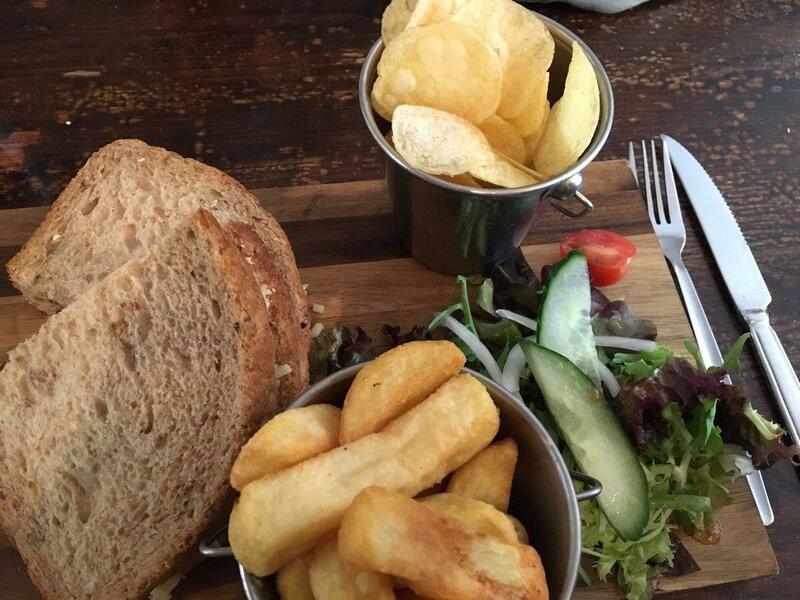 I had a cheese and pickle sandwich which was absolutely fabulous! A really good spot for lunch.